A few posts back I wrote that I save a lot of time not shopping because there's not anything good to buy. Well, I take it all back! 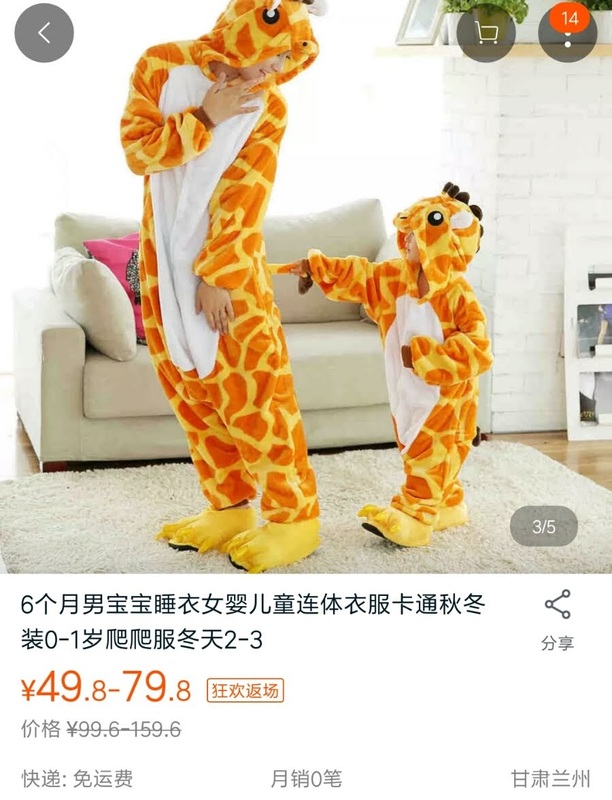 I recently became a Taobao customer. 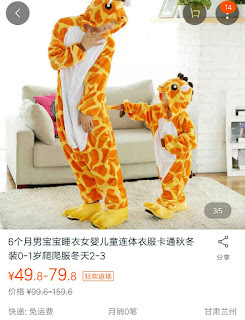 Taobao (淘宝) is like Amazon. You can buy anything, and anything can be expeditiously delivered right to your door. My purchases, however, are not clothes or shoes. I buy food. 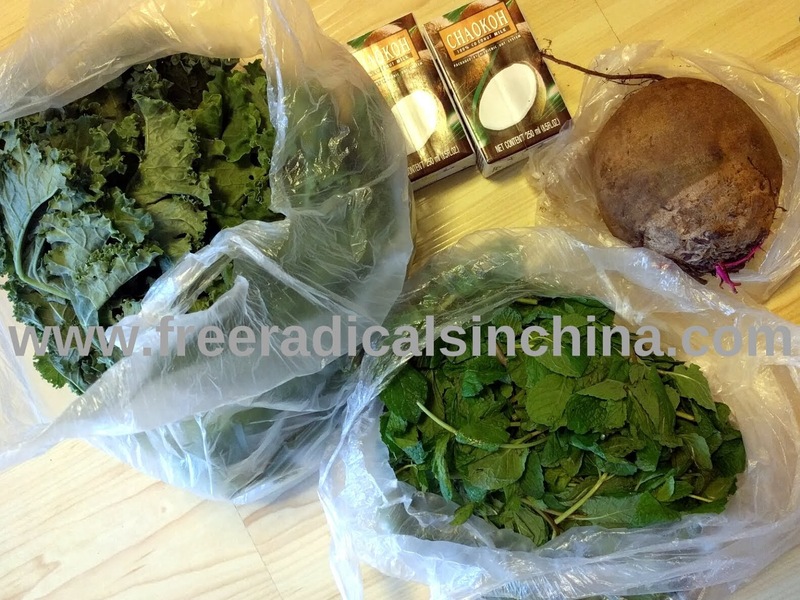 No longer do I make the 45 minute journey to Sanyuanli market to stock up on lentils, beets, kale, brussel sprouts, cheese, butter, whipping cream, walnuts, or whatever else I chance upon that is decently priced and looks good to eat. No longer do I brave the local supermarket where raw meat is strewn about for people to pick through with bare hands. No longer do I travel to the imported foods market, D-Mart, which is only a fifteen minute bike ride away, but now a forty-five minute walk with Dumpling in tow. 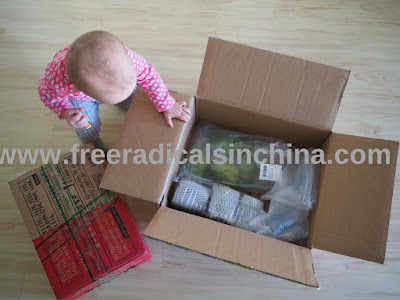 The inconvenience of lugging a baby around just got a little offset with the convenience of online shopping. 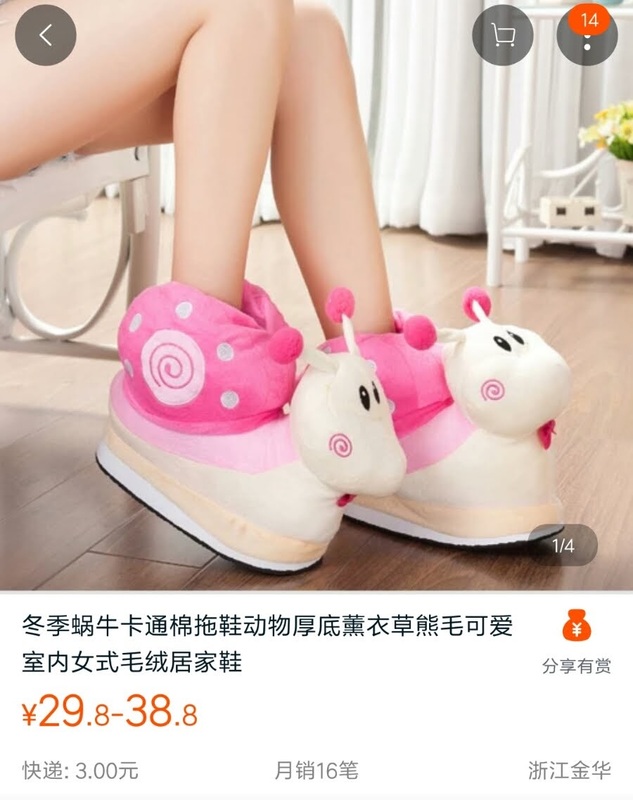 While lounging in my pjs and rocking Dumpling to sleep with cell phone in hand, I scroll through multiple sellers and compare prices on all kinds of stuff. Swipe, swipe, swipe. Food in my virtual cart. Tap, tap, tap. My password sails through the world wide web and money magically transfers from my bank account to the seller. 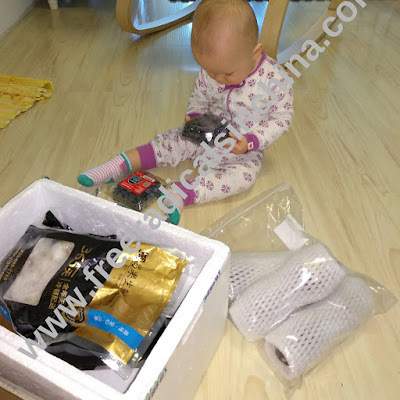 Before I can say “I’m a Taobao addict”, Dumpling and I are gleefully peeling back the packaging tape and inhaling its toxic fumes. A few minutes later, the fridge is restocked with butter and cheese, and the freezer with chicken and shrimp. The boxes and bubble wrap will entertain Dumpling for at least an hour. Which brings me to the unfortunate reality of online shopping: the waste. Oh the waste! 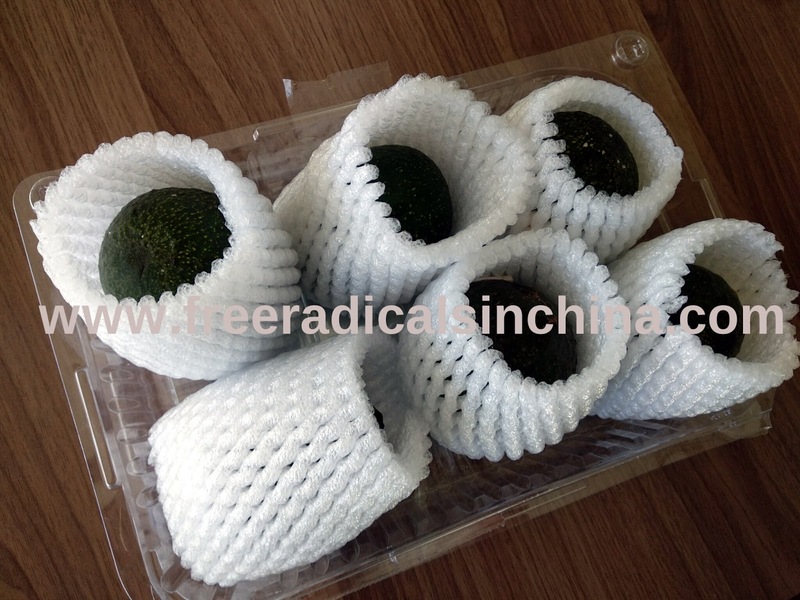 Each tender avocado and mango is encased in Styrofoam. Frozen chicken and shrimp stay frozen in sizable Styrofoam boxes. The brown sugar, powdered sugar, and popcorn kernels, not needing insulation, is delivered in sturdy cardboard boxes. After every delivery, as I chuck an armload of cardboard, Styrofoam, and plastic, into the waste bins, I say a silent “I'm so sorry” to the environment. After all, Styrofoam takes 500 years to decompose. Each set of packaging multiplied by the 369 million Taobao users equals a lot of trash (1). No wonder China recently no longer accepts foreign rubbish (2). China is generating enough of its own. I quickly forget about the environment as I await the rock hard avocados to ripen. Guacamole and chips this week. What to do with that frozen shrimp? Shrimp with cilantro pesto pasta or shrimp jambalaya? A package of cream cheese was a steal for 9 rmb. Let's make a carrot cake with cream cheese frosting. Thanks to Taobao, non-Chinese food is what's for dinner. 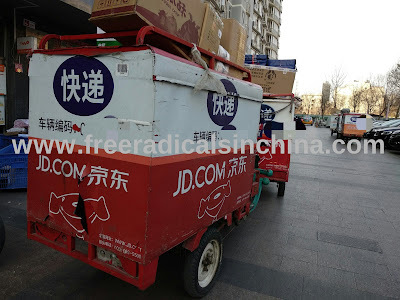 jd.com is another online shopping website. This is how packages get around. Kale, mint, a humongous beet, and coconut milk delivered! Taobao is the place to find cozy slippers. If her feet are that cold, she should wear pants. Turn your home into banana paradise. 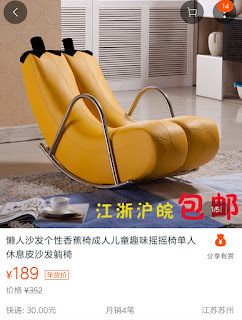 Only $30! Got cream cheese? 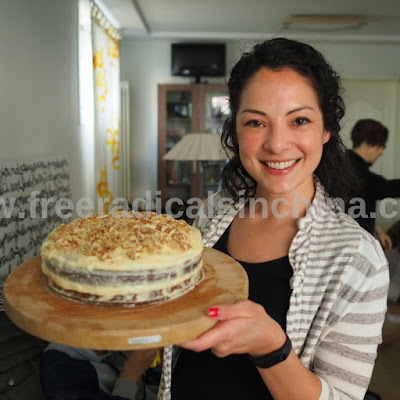 Carrot cake with cream cheese frosting coming right up!